Mapping Paintings is an open-source platform that allows users to tailor-make their own individual scholarly mapping projects. The platform facilitates the realization of these types of projects with an easy uploading of data collected and assembled by scholars without the need for learning GIS or other technologies. Although we have limited the platform in concept to paintings, users can include paintings, drawings, and prints—and really any artwork. Users can make their projects private or public. The uploaded data, once approved by our admin team, becomes part of the global library, which is available to all users of the site. The project is a scaled up version of Mapping Titian (www.mappingtitian.org), which is still useable; the data from that site is also available on Mapping Paintings. 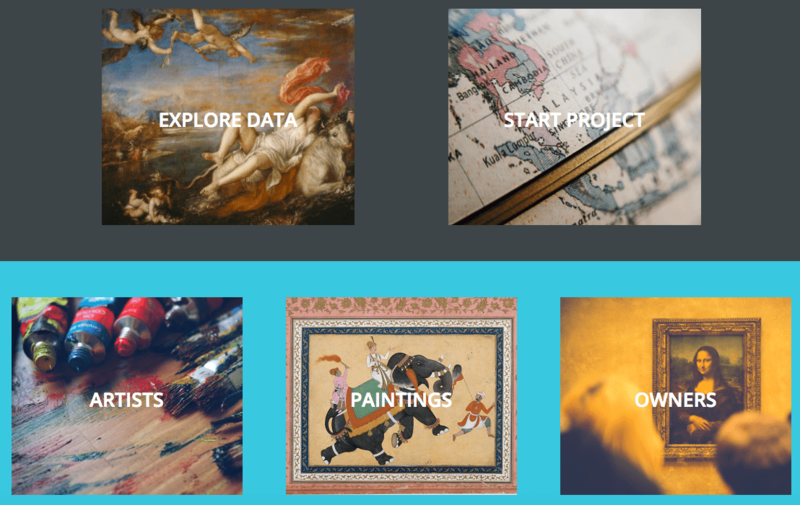 The data for the Titian project continues to be refined and edited, and users of Mapping Paintings are similarly encouraged to submit their data for in-progress projects. The platform is created and administered by Jodi Cranston, Professor, Department of History of Art & Architecture, Boston University; developed by the software team at Prela, LLC; and generously funded by the Kress Foundation and Boston University. For further informations, please visit the Mapping Paintings website here. Image : screenshot of the Mapping Paintings website.